Founded in the year 1992, known as "Relicab Cable Manufacturing Limited" commendable manufacturer and supplier of Industrial Cables. Products offered by us are applauded for its, optimum performance, low cost and over-load capacity. 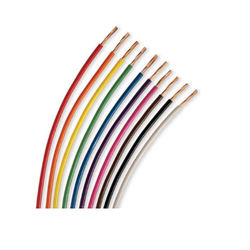 We are known as commendable manufacturer and supplier of Industrial Cables. Products offered by us are applauded for its low running cost, optimum performance, high durability, excellent regulation, corrosion resistance and over-load capacity.